JOHN HOWARD, PAINTING OF A STAINED GLASS IMAGE FORMERLY AT TENDRING HALL OR SOUTH CHAPEL, STOKE-BY-NAYLAND CHURCH, NOW LOST. Brass of Catherine Howard nee Molines at Stoke by Nayland. Engraved in 1535 with a Tudor headdress. Catherine’s mantle has her husband’s arms on one side with the Molines on the other. Item, a ring of goolde with a fine rubye. Item, my master gaff her a longe gowne of fyne cremysen velvet furred with menyver and purled with ermynes. Item, my master gaff her vij scynnes of fine ermynes. Item, my master gaff here a coler of gold with xxxiii.roses and tonnes set on a corse of blank silk with an hanger of goolde garnished with a saphyre. Item, my master gaff her iii. Agnus Dei of goolde. Item, my master gaff her a cheyne of gold with a lock of gold garnished with rubye. Added in Sir John Howard’s own hand – And the vij.zere of the Kynge and in the monithe of Janever I delivered my wyffe a pote of silver to pote in grene ginger that the Kynge gaffe. These are only a selection of the gifts, too numerous to mention here in full. Also included were several more gowns, rings, gyrdles, holand clothe, Aras, cushions, silver spones, a bed with covers of cremysen damask and more..
Lady Howard’s jewellery box..no not really!..this is the Cheapside Hoard but no doubt Margaret’s jewellery collection looked very similar. The Howards marriage endured until he fell, loyally fighting for his king, at Bosworth. Anne Crawford writes that ‘despite his age (he was sixty, an old man for his time) he was there in the middle of his infantry line’ and that ‘there is no doubt that if he had chosen to do so Howard could have to terms with Henry before the battle as others did. He could have despatched his force while remaining at home himself on the grounds of age and sickness. The rhyme supposedly pinned to his tent the night before the battle warned him what to expect.. ‘Jockey of Norfolk be not so bold, for Dickon thy master is bought and sold’. For Howard these considerations were irrelevant: he owed his dukedom to Richard and if the house of York was threatened, then the house of Howard would be in arms to defend it. He died as he had lived, serving the Yorkist kings’. (6) Crawford also wrote ‘Howard had no need to participate in the actual battle. He was nearly 60 years old and having brought up his forces he could have delegated command to his son and remained in the rear and nobody would have thought the worst of him for it, given the sheer physical effort and stamina required to fight on foot and in armour. He fought of course’. (7) As to how Margaret felt about her husband’s insistence to fight — did she scold, did she plead, cajole or did she accept nothing would stop her husband from what he perceived as his duty is not known. As I wrote, at the beginning of this article, what a colossus of a man. John Howard, bravo, you did well!. John Howard first Duke of Norfolk Oxford Dictionary of National Biography, Anne Crawford. A big bang under Henry VII? Oh, I wish…. Did anyone know that although fireworks were probably used in England from the late 13th century onwards, they didn’t begin to become truly popular until at least 200 years later? The first documented use of fireworks is the wedding of King Henry VII in 1486. What a pity it all “went off” splendidly…a nice explosion under Henry himself would have been just the ticket. Richard would have guffawed from on high! Robert de Vere (1362-1392) Earl of Oxford, found great favour with Richard II and was elevated first to the title of Marquess of Dublin and then in October 1386 to the dukedom of Ireland. This was the very first dukedom awarded outside the immediate royal family, and was, in effect, a “fingers up” to Richard’s many critics and opponents, the great majority of whom resented what they saw as the excessive influence de Vere had over the King. Richard was often criticised at this time for the youth and low birth of his closest advisers, but really this was a canard. As will be seen from the bare facts of the matter, de Vere was neither young (by medieval standards) nor low born; indeed his was one of the oldest earldoms in the kingdom, albeit one of the least well endowed. In addition, de Vere was married to the King’s first cousin, Philippa de Coucy, who was the daughter of the King’s late aunt, Isabel of England. Unfortunately, de Vere, for whatever reason, was not happy with Philippa, possibly because her inheritance had never been properly secured or perhaps for more personal reasons. At any rate, he decided to annul their marriage. This was seen as a great affront by the lady’s uncles, the dukes of York and Gloucester, who quite probably had concerns for the futures of their own daughters. The Duke of Lancaster would probably have been equally offended had he been in the country. To make matters worse, de Vere proposed to replace Philippa with the Queen’s Czech (or possibly German) waiting-woman, Agnes Lancecrona. This was clearly a love match (at least on de Vere’s side) as Agnes had no money or land and no prospect of getting any. Agnes’ social status is obscure. One chronicler described her as the daughter of a saddler, another as a washerwoman, but she appears to have been a Lady of the Bedchamber, with the responsibility for caring for Queen Anne’s jewels. It is highly unlikely that the daughter of a saddler could have risen to such eminence, while the very idea of a washerwoman doubling up as a lady-in-waiting is too absurd to contemplate. Having said that, we really do not know who her parents were. To the English of the time, even more xenophobic than their descendants, it was probably bad enough that she was a foreigner and an immigrant. It appears that de Vere, by giving false evidence to the Pope secured a dissolution of his marriage. He certainly gained possession of Agnes, but whether with her consent is less clear. Two of his retainers were later accused of abducting her and taking her to Chester, where de Vere was residing in the summer of 1387. They may or may not have undergone a form of marriage. De Vere was defeated by his King’s enemies at the Battle of Radcot Bridge (20 December 1387) he fled abroad and was never able to return during his life. It is not clear whether Agnes followed him, or what happened to her. She simply disappears from the record. De Vere died in a hunting accident in 1392 before Richard could recall him. In 1389 the dissolution of the marriage was revoked. Duchess Philippa seems never to have lost her status in practice, though for a time she was sheltered by de Vere’s rather formidable mother, who took Philippa’s side against her son. She had an annuity of 300 marks a year after her husband’s death, and was granted dower in 1398. She lived on until 1411, but chose to remain single. Today in 1538-9, Henry Pole Lord Montagu, was beheaded for treason, after the “plot” involving his brother, Reginald, later a Cardinal. It was previously thought that Reginald was a sub-deacon for many years, was only properly ordained in late 1536 and thus could have married at any time before this. However, it is now clear that he had undertaken a clerical career many years earlier, culminating, from an English perspective, as Dean of Exeter (1) for the decade from 1527. This demonstrates that he would have been required to observe celibacy from the outset, which sets a different light on Henry VIII’s reaction to the plot. As you will have observed from our previous posts, those arrested in November 1538 included: Montagu, Sir Geoffrey Pole (also his brother), Henry Pole the Younger (his teenage son), Sir Edward Neville (uncle of his late wife, Jane) (2), Henry Courtenay Marquis of Exeter (cousin) and Thomas (Exeter’s teenage son, later Earl of Devon). All of these adults, except Sir Geoffrey, were executed in early December or January and only Sir Geoffrey and Thomas Courtenay emerged alive from the Tower. Henry VIII’s proclamation refers to the “plot” involving a marriage to Princess Mary and we can now confidently state that the putative husband was definitely either Henry Pole the Younger or Thomas Courtenay, thereby explaining their arrest. (1) The ODNB, as cited by the author’s correspondence with Exeter Cathedral. (2) Also an ancestor of Colonel Richard Neville (Royalist commander) and George Washington, inter alia. The Scrope and Welles marriages of Edward IV’s daughter…. Ralph, 9th Baron Scrope of Masham, was—through his Greystoke mother—the great-grandson of Joan Beaufort and therefore great-great-grandson of John of Gaunt and Katherine de Roët. This made him the great-great-great-grandson of Edward III. (For the path, follow the purple line in the following chart.) What this blood did not do was give him expectations. As the third of four brothers, Ralph could not have expected to inherit the family title, nevertheless, as plain Ralph Scrope, he married a princess. Cicely of York was the daughter of the late Yorkist king, Edward IV, and therefore the niece of Richard III. She was also very beautiful, if Sir Thomas More’s description is anything to go by: Not so fortunate as fair. Some say she was the loveliest of Edward’s daughters. However, this early Scrope marriage has only recently come to light. Until its unexpected discovery, it was thought that Cicely only married twice, first John Welles and secondly one Thomas Kymbe or Kyme. Now, it seems, she had three husbands. It was Richard III who arranged this astonishingly advantageous marriage for Ralph. True, Cicely and her siblings had been declared illegitimate at the time, but they were still the acknowledged offspring of one king, and the nieces and nephews of another, and therefore considerable catches. Ralph was not exactly in the forefront of royal blood, but he did have some. His maternal great-grandmother, Elizabeth Ferrers, was the granddaughter of John of Gaunt, and half-sister of Cicely Neville, Duchess of York, who was the mother of Edward IV and Richard III. So Ralph had some very important royal connections indeed, but didn’t have the clout to go with it. He had no title at the time, and wasn’t expected to ever have one. The family seat at Masham was never likely to be his. So he would never be a great landowning noble who might develop designs on the throne. But he was safely Yorkist. Maybe all these were good reasons for Richard to select him for an illegitimate niece. Whether desired or not, the marriage probably took place in 1484, when Ralph was about 23, and Cicely a mere 15, possibly 16. The only certain thing, apart from the marriage’s existence, is that when Richard was killed at Bosworth and Henry VII usurped the throne, the Scrope match was swiftly set aside, as if Cicely had never been a bride at all. But presumably it had been consummated? We can’t even say that, but by medieval standards she was certainly of age. The reason for the jettisoning of the Scrope union is another thing that is not known, but the outcome was that Cecily was swiftly married off to Sir John Welles instead. He was not Viscount Welles at the time, that came later. Why did Henry choose John? Well, he was Henry’s half-uncle to start with, and a Lancastrian who had shared exile with him. Bletsoe Castle, a residence known to John Welles. His mother was born there. Another reason is probably that Henry, by now married to Cicely’s elder sister, Elizabeth of York, had no desire at all to have his new sister-in-law married to a mere Scrope of no rank or expectation of a title. A Yorkist, to boot. All these things probably had a lot to do with it. Henry’s claim to the throne was by conquest, because his line of descent wasn’t exactly direct. His Yorkist queen—once made legitimate again—had a better title. He had no real blood claim at all, because his mother was a Beaufort, and the Beauforts had been forbidden the throne at the beginning of the century by John of Gaunt’s trueborn son, the first Lancastrian king, Henry IV. Who, as it happens, was another usurper. So the usurper at the end of the century, Henry VII, did all he could to bolster his personal prestige. Therefore, exit poor Ralph Scrope, stage left. John Welles was about twenty years older than Cicely and had not been married previously, but Henry’s half-uncle or not, he wasn’t royal himself. He was related to royalty, because his mother’s first marriage had been to John Beaufort, 1st Duke of Somerset, who was of course—like Ralph Scrope—descended from John of Gaunt. On the death of the duke, John’s mother married Lionel, 6th Baron Welles, and John was the result. Another piece of bad luck for John was that his father, Lionel, had also been married before, so the family title of Baron Welles and the lands went to the son of his first marriage. John got nothing from either parent. It was John’s Beaufort half-sister, Margaret, who received the all-important royal blood and a huge fortune in money and lands, albeit through an illegitimate line that had been legitimised. She was perhaps the greatest heiress in the realm, and was snapped up at a very early age by Edmund Tudor, Earl of Richmond (another half-brother of a king, this time Henry VI). Their only child was to become Henry VII. Something useful for John at last? Yes, as it turns out. Ignoring Henry’s probable haste to be rid of an inconveniently lowly Yorkist brother-in-law-by-marriage, might it have been that John Welles actually loved the beautiful Cicely? Did he ask his half-sister to mediate with her son Henry? Or maybe Henry had some fondness for his half-uncle, and simply wanted to increase John’s importance with a royal wife, and then a title? Henry wasn’t exactly overloaded with blood relatives, so was obliged to keep and placate the few he had. Plus, of course, a royal wife for Uncle John would make Henry himself look better. Certainly John Welles appears to have looked after and appreciated his highborn bride. His will was very affectionate, and according to one report (Gentleman’s Magazine, Volume 163, p.33. Funeral of John Viscount Welles, 9th February 1498) she was quite distracted on losing him. The word used for her distress is actually “incontinent”, in its meaning of “distraught”. So I have reason to think that whatever her feelings for him at the outset of the marriage, there was warmth at the end. They had two daughters together, both of whom died tragically young. One thing can be said of Cicely first two husbands: they were cousins. But not royally so, of course. Ralph’s great-grandfather, Stephen Scrope, 2nd Baron Scrope of Masham married Margery de Welles, the sister of John’s great-grandfather, the 5th Baron Welles. John Welles also had the same Greystoke blood as Ralph, but alas, not from the member who married the granddaughter of John of Gaunt! Poor old John, missed out again. First because he wasn’t from his mother’s Beaufort marriage or his father’s first marriage, and also because he wasn’t from the right Greystoke marriage either. Dag nam it thrice times over! However, that other Greystoke marriage was of great benefit to Ralph, upon whom it bestowed that royal Beaufort blood. What it did not do was bring him the family title, until he was nearing the end of his life and in a second childless marriage. He was the third of four brothers, who all failed to leave heirs—except for one, who produced a daughter, but she left no children either. So Ralph had to wait to eventually become the 9th Baron Scrope of Masham. His successor, the fourth brother and 10th baron, Geoffrey, also died childless, and on his death in 1517, the title fell into abeyance. But Cicely did not stop at two husbands. She chose to marry again, and this time she certainly followed her heart. Not royal instructions! A few years after the death of John Welles, she married Thomas Kymbe or Kyme, a Lincolnshire gentleman of Friskney in Lincolnshire. His family home was probably Friskney Hall, the remains of which are shown in the map below. As may be imagined, Henry VII went blue in the face. He erupted into a fury, took away all her possessions (presumably to deny her upstart husband her wealth) and banished her. He was beside himself over what she’d done behind his back. His sister-in-law, married to a mere gentleman? It wasn’t to be tolerated! The scandalous situation was smoothed by none other than Henry’s mother, Margaret Beaufort, who had formed a close friendship with Cicely. Margaret mediated with Henry, and managed to smooth his ruffled feathers. To a certain extent, anyway. He allowed Cicely some of her possessions, but he never again referred to her third husband. To Henry, and therefore the rest of the court, she was Viscountess Welles until the day she died. She did eventually appear at court again, but not often, and I imagine she kept out of Henry’s way. She and Thomas went to reside in the Isle of Wight, where she eventually died as was laid to rest in old Quarr Abbey (although there is a school of thought that she died at Margaret Beaufort’s residence in Hatfield Old Palace). The puzzle of George of Clarence’s Calais wedding…. The only certain thing that can be said of the marriage of George, Duke of Clarence, and Isabel Neville, daughter of the Earl of Warwick, is that it took place in Calais. Oh, and that Isabel’s uncle, the Archbishop of York, performed the ceremony. After that, the picture is a little blurred. Which day? Which church? Who was there? How long did the celebrations last? Was it public…or kept under wraps. Search for definitive information, and you will find differing answers to all these questions. Those who read this blog will know the circumstances that led to the marriage. Briefly, Richard Neville, Earl of Warwick fell out with Edward IV, whom he had helped to the throne, thus earning the nickname of Kingmaker. George, Duke of Clarence, Edward’s brother, also fell out with Edward and deserted him to side with Warwick in Calais. This alliance was cemented by George’s marriage to Warwick’s elder daughter, Isabel. (The younger daughter, Anne, was to eventually marry the youngest of the three royal brothers, Richard, Duke of Gloucester, who would, of course, become Richard III.) The object was to invade England, get rid of Edward, and replace him with George, who believed his own claim was better because of a story that Edward was illegitimate. So, now we have the bare bones of the situation in July 1469, when George and Isabel took their vows in the parish church of Calais, Notre Dame/Our Lady (above). Or was it St Nicholas church? St Mary’s? St Peter’s? All four were in Calais, but there generally seems to be a tussle between Notre Dame and St Mary’s when it comes to this wedding. Some even say it wasn’t celebrated in a church at all, but at the castle. There is also disagreement about whether it all took place on 11th or 12th July, but all agree that 1469 was the year. The Archbishop of York was, of course, Warwick’s brother. But who else was present? Warwick himself? His other daughter, Anne? His countess? Certainly the groom’s family would not have been represented. Edward IV strongly opposed the union, which was most certainly proceeding without his consent. But Edward knew about it. So how could it be secret? Maybe the secrecy only involved the time and place, not the fact of the marriage? After all, according to Susan Higginbotham “A papal dispensation was obtained in March 1469, despite Edward IV’s objection to the match”. So I guess everyone knew well beforehand that the marriage was on. 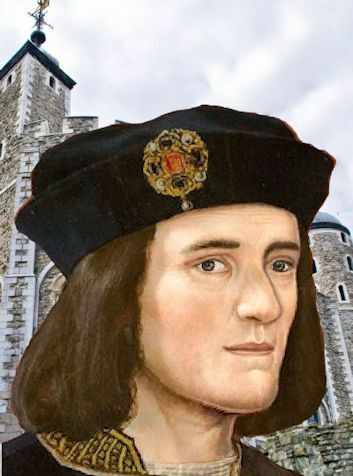 In The World of Richard III by Kristie Dean, she writes “…the ceremony was a well-attended affair with five Knights of the Garter and other lords and ladies present…” Who were these KGs, lord and ladies? She also writes that it was “most likely in St Mary’s Church, because the men [George and Warwick?] wanted it to be as public as possible.” It can’t be secret and public at the same time. http://www.richardiii-nsw.org.au/tag/nevilles/ places the wedding day on 12th July, but the majority go for the 11th. For instance, the chronicler Wavrin says it all took place on Tuesday, 11th July, but he had left Calais almost a week earlier. Nevertheless he says ‘there were not many people, so the festivities only lasted two days’. Hindsight? Or did he know this beforehand? Oh, and George Amelius Crawshay Sandeman describes the wedding as “magnificent”! He and Wavrin can’t both be right. So, the puzzle remains, as does the statement that all we can really be sure of is that the wedding took place. After the battle of Bosworth, Henry VII married Edward IV’s daughter Elizabeth of York. What happened to Edward’s other daughters? Bridget, the youngest, went to a nunnery. Anne married the younger Thomas Howard (which was the marriage proposed for her by Richard III; Thomas Jr’s father Thomas still desired the marriage for his son and eventually permission was granted by Henry Tudor). Cecily’s current marriage was dissolved, and Tudor married her instead to John Welles, Margaret Beaufort’s half brother, tying her into his own family. That only left Catherine of York. Catherine was born in August 1479 at Eltham Palace, one of Edward’s later children. Soon after her birth Edward began to arrange a royal marriage for her to the son of Ferdinand of Aragon and Isabella of Castile; however, he died before the proposal was finalised. Catherine remained unmarried during Richard’s short reign, although her sister Cecily was given to Ralph Scrope and plans were being made for Elizabeth to marry Manuel, Duke of Beja. Under Henry Tudor, it was proposed Catherine would marry into Scottish royalty, taking the Duke of Ross, James Stewart, as her husband. Her mother, Elizabeth Woodville, would at the same time be given in marriage to the Scottish king, James III. However, when King James was killed in battle, his successor never bothered to pursue the prospective English alliances. So in 1495, aged around sixteen, Catherine instead married William Courtenay, son of Edward Courtenay. The Courtenay family had always been staunch Lancastrians but had not fared particularly well in the dynastic battles of the Wars of the Roses. Thomas Courtenay was taken in battle at Towton and beheaded at York, while his brother Henry was executed for treason in Salisbury marketplace in 1469. Another brother, John, was slain at Tewkesbury. Hugh Courtenay, from a junior branch of the family, also was executed after Tewkesbury; it was his son Edward who then became Earl of Devon, and Hugh’s grandson, William, who married Catherine of York. We do not know if the marriage was a happy one, but together William and Catherine had three children. However, things turned ugly for the family in 1504. Henry VII found out that Courtenay had been supporting the claims to the throne of Edmund de la Pole, the last Yorkist heir. William was attainted and thrown into the Tower of London, where he remained throughout the rest of Henry Tudor’s reign. When Henry finally died, his son, Henry VIII, seemed ready to give his imprisoned uncle a rare second chance. Henry was said to be very fond of Catherine from early childhood (it is claimed she loved children and played with him when at court) and he considered her his favourite aunt. He released William from the Tower and allowed him to resume his role in society, even carrying one of the swords of state at Henry’s coronation. A year or so later, he gave William back his title as Earl of Devon—although unfortunately William died only a month or two later, so never got to enjoy it. Eager to avoid another arranged marriage, Catherine promptly swore an oath of chastity before the Bishop of London, and then retired to her Devon estates. She lived quietly in Tiverton Castle, and also at the remote Bickleigh castle, with its rare thatched Norman chapel. Catherine died at Tiverton on November 15 1527, aged 48, and was buried in the parish church of St Peter, which stands by the castle ruins. Her arms are still visible above the door, amongst unusual carvings of sailing ships and monkeys. Unfortunately, the chantry dedicated to the Courtenays, which would probably have contained her tomb, no longer exists. She was perhaps fortunate not to lived have seen the execution of her only surviving son, Henry, in 1538–he was beheaded due to his correspondence with Cardinal Reginald Pole. Catherine is presumed the last of Edward IV’s children with Elizabeth Woodville to die, though of course without knowing the actual fate of the ‘princes’, this may not be the case! Tiverton Castle can be visited on certain days throughout the summer, and Bickleigh Castle is now an attractive hotel. St James church in Tiverton is well worth a visit and open most days.